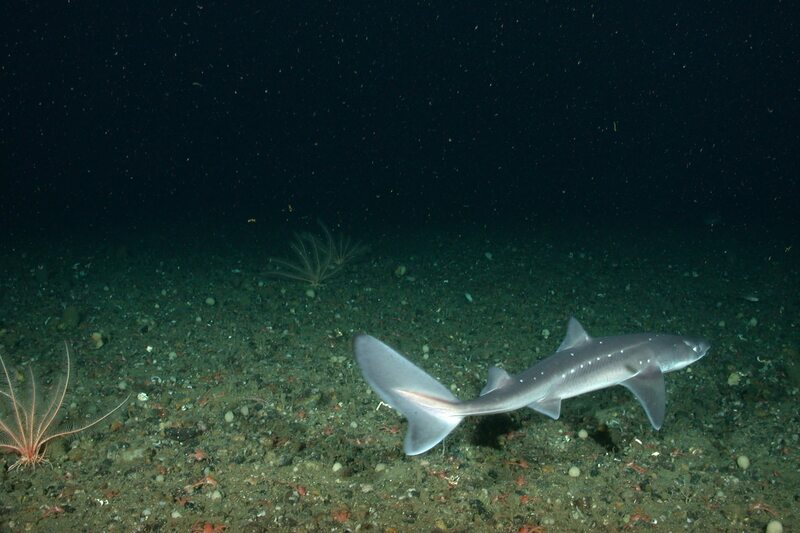 A spiny dogfish (Squalis acanthias) patrolling the seafloor. 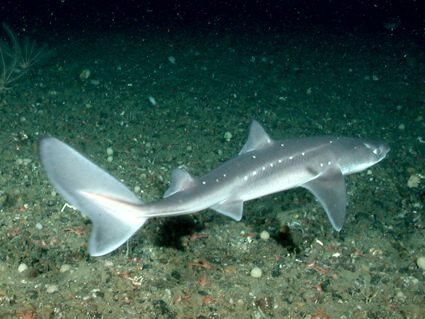 This is one of several images of rarely seen deep-sea animals captured on camera in Olympic Coast National Marine Sanctuary. During an Aug. 2011 expedition, researchers used a NOAA remotely operated vehicle in waters 328 to 656 feet deep (100 to 200 meters) off the Olympic Peninsula in Washington State. Research partners included NOAA's Olympic Coast National Marine Sanctuary, Southwest Fisheries Science Center, and Center for Coastal Environmental Health & Biomolecular Research; plus academic partners from Washington State University and crew of Oregon State University's R/V Pacific Storm. The research to study deep-sea corals was funded by NOAA's Coral Reef Conservation Program.